Rosen Plaza Hotel is a beautiful 800 room hotel that combines impressive meeting capabilities with resort-style luxury in a world-class vacation destination. In addition to their deluxe guest rooms, they also have 32 suites available. Each room features high-speed Internet access, cable television with in-room movies and video check-out, electronic safes, hair dryer, iron and board, coffee maker, telephone with voice mail, and data ports. Be sure to visit their large swimming pool, workout facilities, business center, and our multiple dining options - Jack's Place, Cafe Matisse, Rossini's Pizza, Smooth Java Coffee Bar, Lobby Lounge, and Lite Bite Mini-Market/Deli. If you are planning to visit any of Orlando's theme parks, Rosen Plaza Hotel offers free scheduled shuttles to Wet 'n Wild, SeaWorld Orlando, and Universal Studios Resort. Our guest services desk can also handle any of your additional needs, including the addition of rollaway beds, refrigerators, or microwaves, car rentals, attraction tickets, other transportation arrangements, and babysitting. We have a group reservation rate of $159 per night. 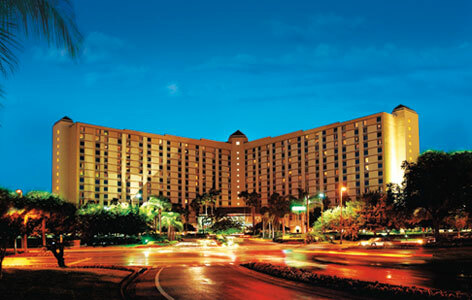 In the event that all rooms sell out our overflow hotel is the Rosen Inn Pointe Orlando. *Numbers in RED are premium booths. 112 - National Ins. Under. 212 - Risk Placement Serv. 401 - NIF Group, Inc.